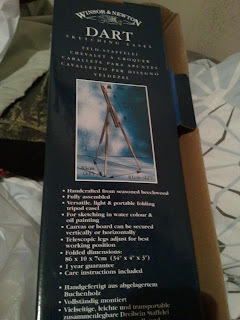 Today I finally purchased an easel I was eyeing last weekend in Markham. This portable easel folds up easily and is sturdy once you get used to all of it’s nobs. 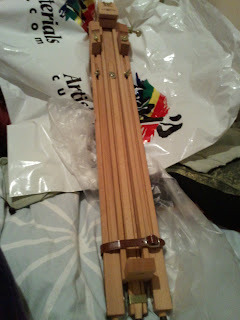 Last year my Alvin sketch easel died on me completely, it was about time to get a new one. Better yet, a HUGE upgrade! I could not wait to show everyone. I have a new work in progress already on it and hope to finish it tomorrow after work. I am slowly working on the articles for the Studio Research component of this blog. Stay tuned for more!